Still electric dreaming – HubNut – celebrating the average! 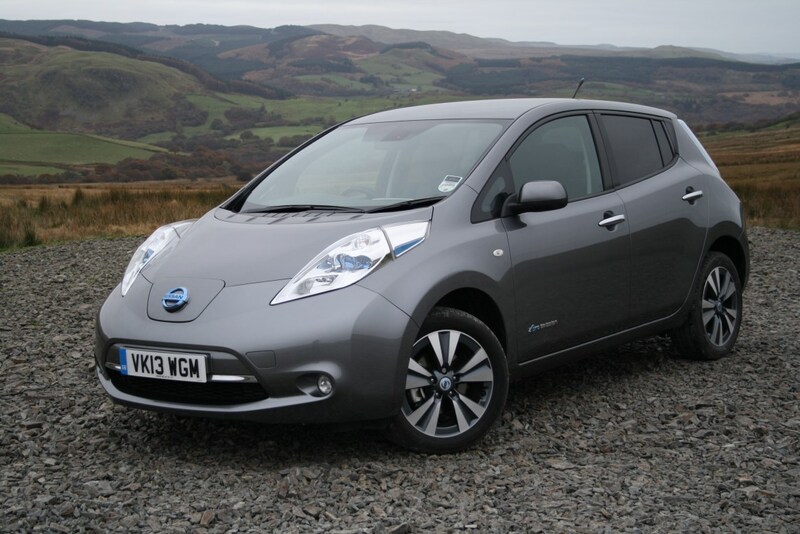 Last year’s test drive of a Nissan Leaf has properly got under my skin. I was amazed at how good the car was, and how it confirmed that electric power makes so much sense, so much of the time. Sure, if you’re clocking up tens of thousands of miles per year, then electric isn’t the answer yet. But most people I know don’t often travel more than 80 miles a day by car, and then electric really makes sense. For instance, I do a lot of trips to the next village. It’s about five miles away. By the time I’ve got there, I bet the engine oil isn’t even up to temperature – especially as a lot of the journey there is downhill. Even trips to town are only 25 miles in total there and back. Easily within the scope of an electric car. Now, much as I like them, I can’t afford to buy a Leaf. Not even the £10k one I spied on Ebay recently. They’re not cheap. So, what other options are there? The Volkswagen e-UP! is a car with many grammatical annoyances, but seems a good car. They’re still £20,000 new though, even with the government’s helpful £5000 plug-in grant. Electric cars can be cheaper though. What about the wacky Renault Twizy? The problem is, the Twizy is utterly stupid. Yes, I found a one-year old one for a mere £5000 on Ebay, but it didn’t have any doors. Why on earth did Renault design a car with no doors?! Even if you do raid the options list for such fancy features, they don’t have windows, so don’t offer that much protection from the elements. In short, it’s a motorbike with none of the performance, manoeuvrability or style. And the idea of French electrics is pretty terrifying too. Ok then. So buying a new/nearly-new electric car clearly isn’t an option. The second-hand market isn’t too promising either, as mainstream manufacturers haven’t really taken the concept too seriously until very recently. Hybrids are a possibility. In theory, this are the best of both worlds. An electric motor for pottering around town, with a petrol engine for longer trips – and both units working together when you really want to get a shift on. I’ll admit, I’m intrigued about these and would dearly like to try one. Not sure I’d want to buy one just yet though, and the cheapest are still only just sub-£2000 for a 2000-build example. Mind you, that’s still cheaper than my next option, which is to convert the 2CV. The little Citroen makes an ideal base for an electric car, as they’re so simple in the first place. There’s no cooling system, power assists or complicated drivetrain. You really can just remove the engine and bolt an electric motor in place. Job done. Naturally, there are batteries and controllers to consider and so far I’m struggling to find a complete package of bits that comes in much less than £10,000. I have found many different electric 2CVs around the world as part of my research though, including this excitingly brisk one in Australia. It really has got me thinking. I know it may seem like sacrilege for a petrolhead to like electric vehicles, but the truth is, most four-cylinder petrol engines are about as exciting to listen to as an electric motor. The Leaf proved that you can still have a car that’s entertaining to drive with electric power. A car is a car after all. Diesels don’t sound good, yet people are happy enough to buy them. In fact, the idea of an electric BX is rather appealing! It’d be a lot quieter than the clattering XUD diesel.